Arsenal's chances of landing Christopher Nkunku from Paris Saint-Germain on transfer deadline day are claimed to be no higher than 50-50. Gunners boss Unai Emery wants to snap up the midfielder, who is willing to make the loan move to the Emirates Stadium in search of the regular playing time which has eluded him at the Parc des Princes. But Arsenal can only sign players on loan this month and, according to BBC Sport, it is 50-50 whether they will be able to land Nkunku. The French champions have brought in one midfielder in the shape of Leandro Paredes this month, from Zenit, but are also trying to sign Idrissa Gueye from Everton. It has been claimed they would only be willing to let Nkunku go if they can add another midfielder to the ranks. 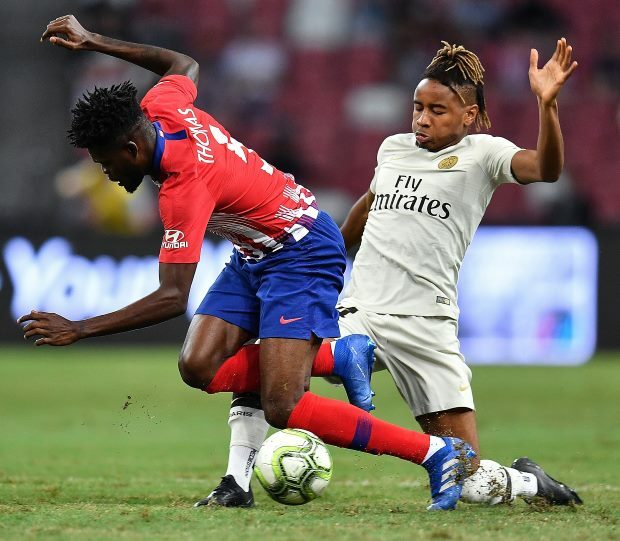 PSG coach Thomas Tuchel is happy for Nkunku to depart, with the player having been a fringe performer in the French capital this season. It remains to be seen if Arsenal will be able to get a deal over the line before the window closes.